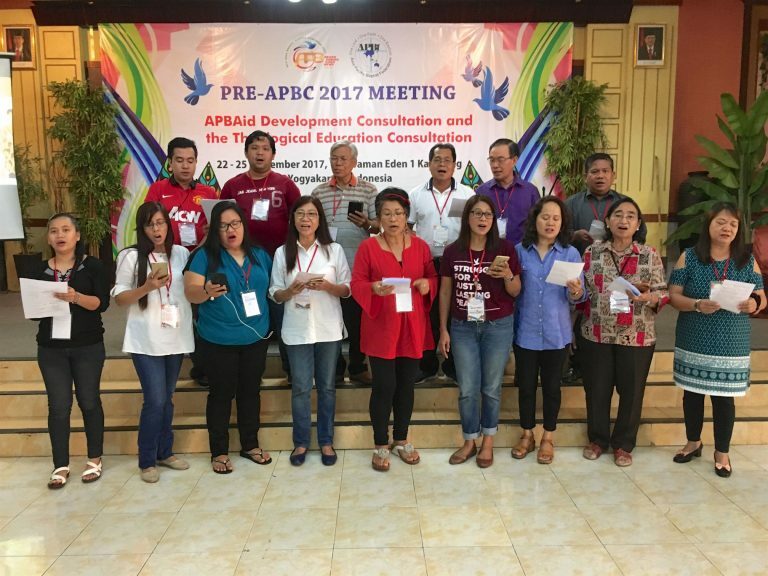 We were part of an amazing gathering of Christian sisters and brothers in Indonesia at the end of September that was organized by the Asia-Pacific Baptist Federation (APBF)! If one phrase could capture the message of the events we attended, it would be this: global mission is no longer just for the West. Ann participated in a pre-Congress Consultation on Theological Education with seminary leaders from across the Asia-Pacific region. They shared moving reports about the challenges and victories of training local church pastors and leaders in difficult, sometimes dangerous, economic, cultural and political situations. Several members were interested to learn about Ann’s initiatives to help the Cambodian Baptist Union and the Baptist Convention of Vietnam develop contextualized theological education programs. At the same time, Bruce participated in a Consultation on Development organized by Asia-Pacific Baptist Aid. Since this region is regularly pummeled by devastating natural and human-caused disasters, a majority of the 80+ participants were involved in humanitarian aid and relief programs through their Baptist conventions. It was encouraging to learn that these programs are increasingly incorporating a development approach that not only meets immediate needs after a disaster but helps affected communities become less vulnerable and more resilient. Bruce was invited to give a formal response to a paper presented by Roshan Mendis of the Christian development organization LEADS in Sri Lanka on “Good practice in deeds and advocacy” during one of the plenaries. 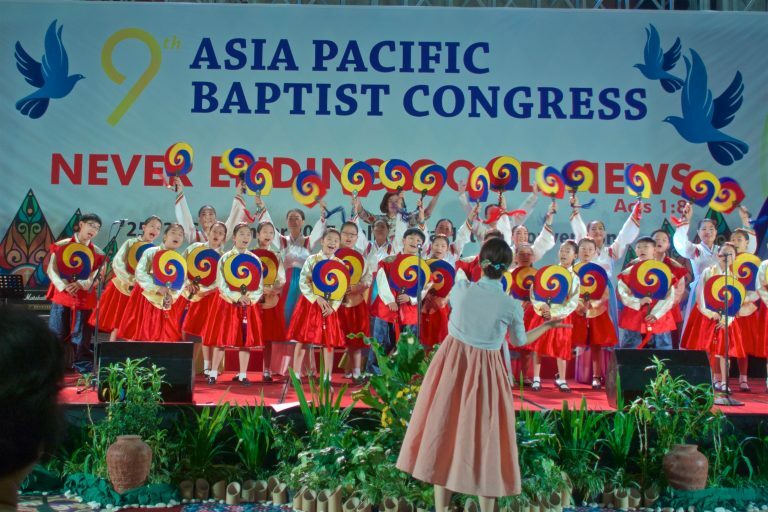 The APBF Congress itself was evidence of the size, strength and diversity of the Body of Christ in this region. The Congress drew over 1,100 people representing Baptist churches and institutions spanning the Asia-Pacific region from Japan and Korea to Australia and New Zealand, from the Philippines and many Pacific island nations to India and Sri Lanka – and almost all countries in between. It was a snapshot of the Baptist movement in the most populous, diverse and least evangelized region in the world. A workshop on the last day summarized the event for us: “Global mission is not just for the West.” Even though Christians make up only about 7% of the population in this region (see this report and this report by the Pew Research Center), speakers and delegates at the Congress demonstrated that their countries and the region as a whole are no longer just the objects of cross-cultural mission by the West. They are co-participants in God’s mission with the worldwide body of Christ. We are so grateful for your prayers, financial support and gifts to the World Mission Offering that make it possible for us to represent you in this dynamic, growing region. Remember that you are also part of God’s mission right where you are. What barriers is God calling you to cross in order to be an ambassador of God’s love, hope and reconciliation right in your own neighborhood?